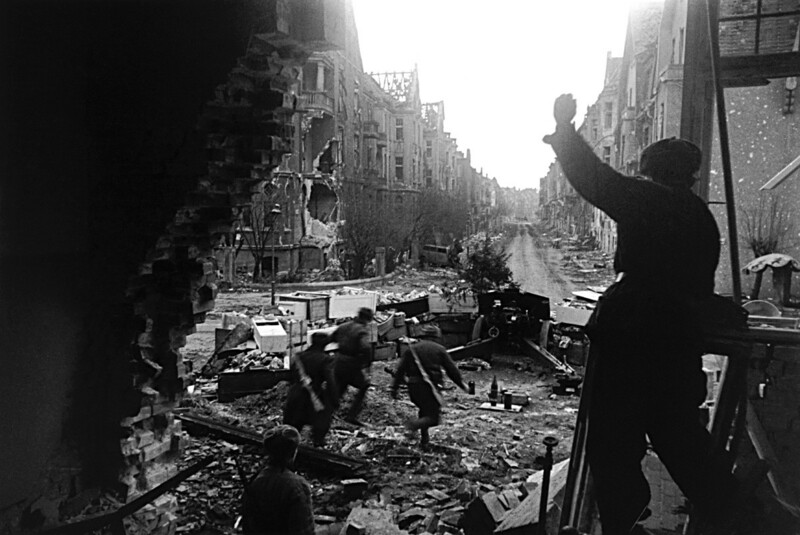 A Soviet officer spotting artillery fire in destroyed Berlin, April 30, 1945. 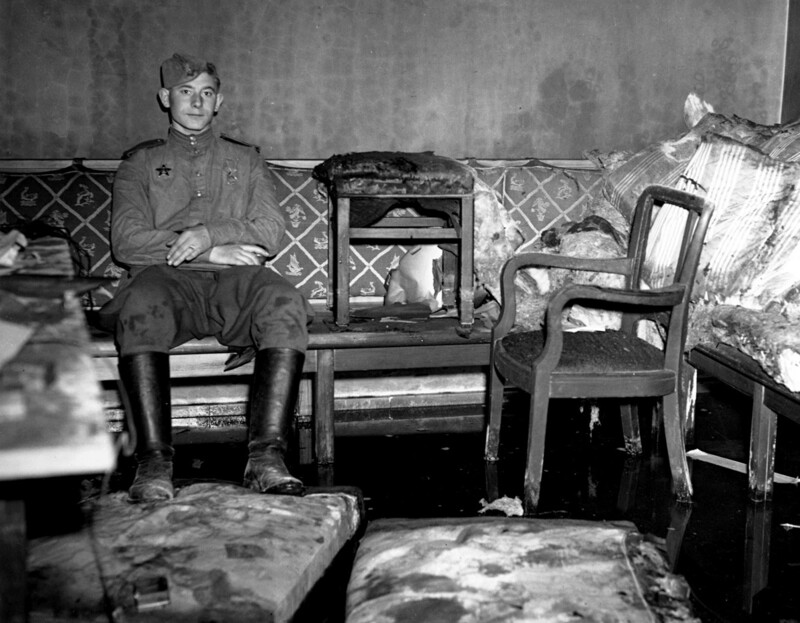 The Soviets were just two days away from storming Hitler’s underground shelter in Berlin when the crazed Nazi leader committed suicide. In Clint Eastwood’s film, The 15:17 to Paris, there is a scene where the three Americans are in a Berlin museum. The tour guide tells them that Adolf Hitler killed himself in Berlin surrounded by the Soviets, and the three are quite surprised – they thought it was the U.S. Army that had surrounded Hitler. “You Americans can’t take the credit every time evil is defeated!” the guide replies, and he’s right. The U.S., as well Britain and other Allied nations invested much in defeating Nazism, but it was the Red Army who captured Berlin and caused Hitler’s suicide. Here is how it happened. The Führerbunker near the Reich Chancellery in Berlin, Germany. In early spring 1945, Hitler faced a dire situation with the Soviets closing in on Germany’s capital from the east, and U.S.-British forces advancing from the west. The net was closing, but the ruthless Nazi leader didn’t want to surrender. “It doesn’t suit our style to be slaughtered like sheep,” Hitler’s biographer Joachim Fest quoted his speech, adding that Hitler’s ‘style’ remained during his last months: uncompromising, bloodthirsty and Wagnerian-pretentious. Nevertheless, Hitler understood that the end was near. From January 1945 until his death in April, he lived in the Führerbunker, a shelter under the Reich Chancellery in the center of Berlin. Allies were bombing the city heavily, so Hitler hardly appeared above ground. The Red Army battles in the streets of Berlin during the Fall of Germany in 1945. By that time, any hope of victory for Germany was non-existent except in Hitler’s brain. On April 9 the Soviets took Königsberg, and on April 13 they captured Vienna. 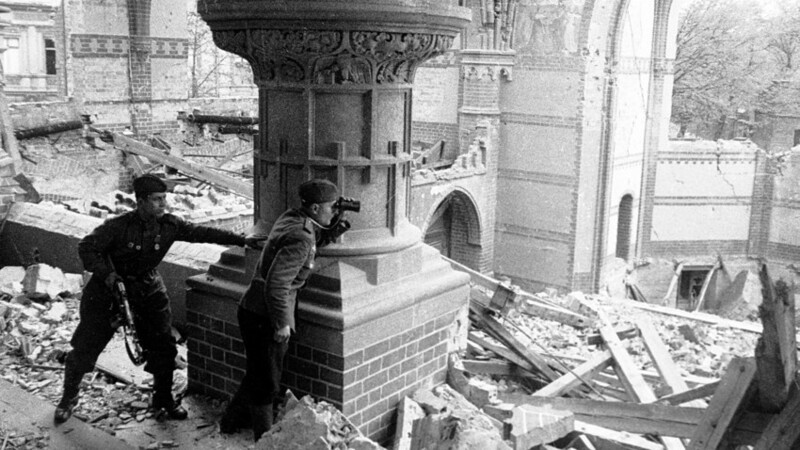 Three days later the Battle of Berlin started. The Germans fought hard to defend their capital. General Nikolai Popel, a tank officer, wrote in his memoirs “Berlin is ahead!”: “We paid with blood for ever meter of Berlin soil.” Indeed, the Red Army lost up to 80,000 men when storming the city. “The artificial optimism of the bunker persisted,” Fest writes about April 20, which was 10 days before Hitler’s suicide and his 56th birthday. Almost all other Nazi officials had fled the city, but he stayed. Desperate, Hitler still ordered the German people to fight on, despite losing district after district, and he continued to talk about armies and divisions that had already been obliterated. Nevertheless, reality could not be held at bay, and on April 26 Russian bombs started exploding literally over Hitler’s head, in the Reich Chancellery building. Two days later, he heard the news: Himmler, one of his closest assistants, tried to contact the allies to surrender, and Benito Mussolini, leader of Fascist Italy, was caught and hung by his enemies. Feeling betrayed, and fearing that he might become “an exhibit in a Moscow zoo,” Hitler decided to kill himself. As the Red Army was just couple of blocks from the Führerbunker, Hitler had to act fast. On April 29, he married his long-time life partner, Eva Braun. This was a very short marriage – a day later, the Hitlers went to his room to take cyanide. To be completely sure, the Nazi leader shot himself. 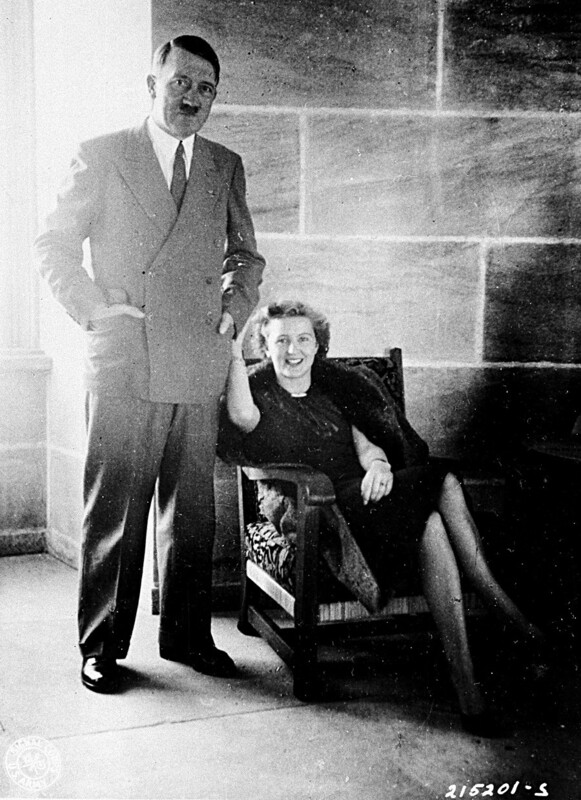 Adolf Hitler poses with Eva Braun, his wife for just a day. (Photo was taken long before the events described in this article). 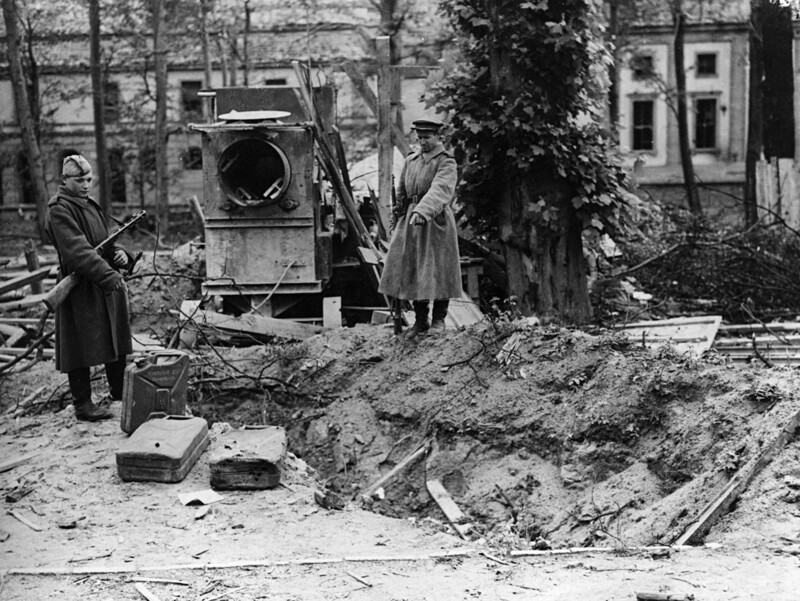 Two Russian soldiers point out what is alleged to be Hitler's grave at the back of the Chancellery in Berlin. - This bandit escaped in the last minute…only burnt flesh and bones are left. - Don’t be sad, Colonel – We were looking for victory, not for him! And they had their victory. 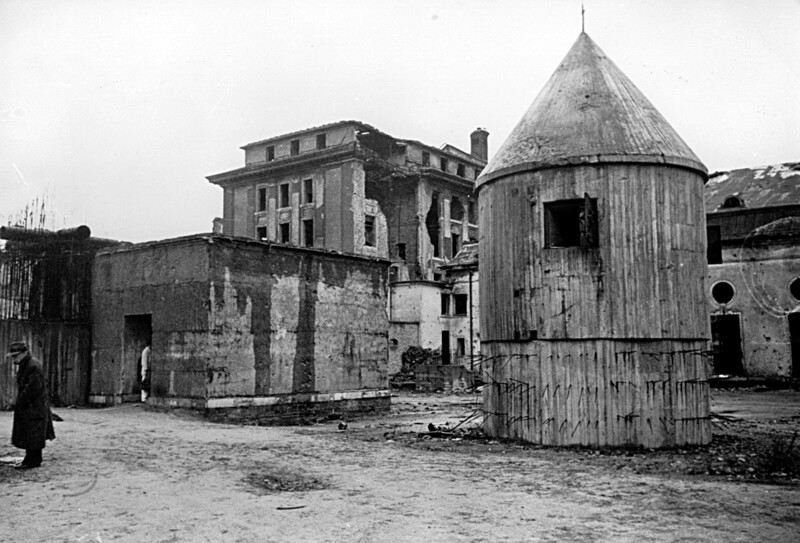 On May 2, the Berlin garrison capitulated, while on May 9 the entire German army surrendered. Nazism was dead like its leader. The Soviet people had to pay with their blood and hard labor for defeating the fearsome enemy. Read our article on the Soviet women who fought Nazism as hard as their fathers and brothers.